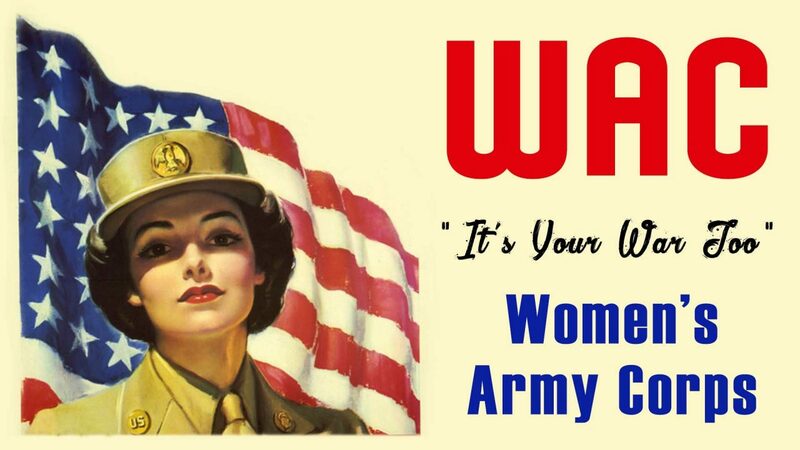 The Women's Army Corps (WAC) was the women's branch of the United States Army. It was created as an auxiliary unit, the Women's Army Auxiliary Corps (WAAC) on 15 May 1942 by Public Law 554, and converted to full status as the WAC in 1943. Its first director was Oveta Culp Hobby, a prominent society woman in Texas. The WAAC organization was designed by numerous Army bureaus coordinated by Lt. Col. Gilman C. Mudgett, the first WAAC Pre-Planner. However, nearly all of his plans were discarded or greatly modified before going into operation because he expected a corps of only 11,000 women. The WAAC was modeled after comparable British units, especially the ATS, which caught the attention of Chief of Staff George C. Marshall. In 1942, the first contingent of 800 members of the Women's Army Auxiliary Corps began basic training at Fort Des Moines, Iowa. The women were fitted for uniforms, interviewed, assigned to companies and barracks and inoculated against disease during the first day.